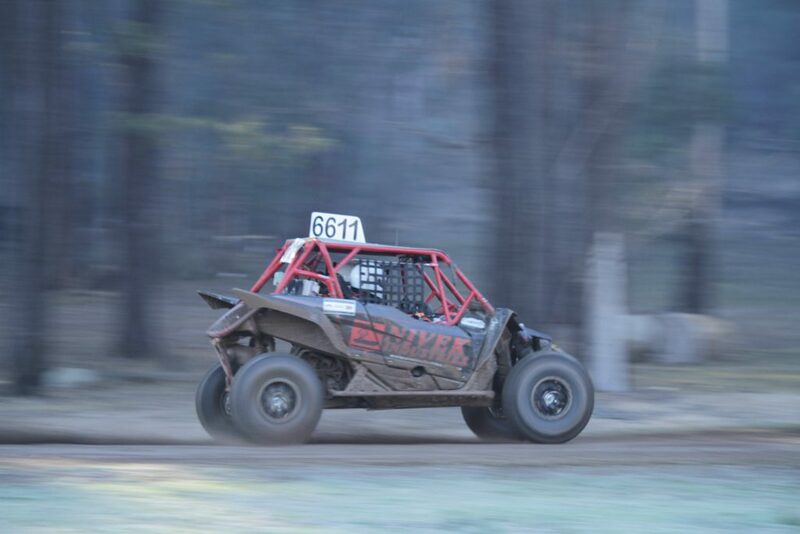 The Nabiac Airport Challenge is shaping up to be an exciting finale to the Hunter Rivmasta New South Wales Off Road Championship with multiple crews in the battle for title honours. Fifty crews, arguably the best field in the event’s 23 year history, will line up at the Central North Coast Sporting Car Club’s Nabiac Motorsport Complex on 13-14 October, located 300km north of Sydney. Current NSWORC outright points leader Scott Brown has his sights set on going one better in 2018, as last year’s runner up holds an 11 point lead over Richard Wilton and Warren Barron a further nine points adrift. With the top three all piloting Super 1650s, the race for the outright title will be a tight one. Also within striking distance is rookie Penny Ramsey, along with long shots Kevin Cant and Max Huxley, the pair needing a miracle for any chance at the title. Max Huxley at the Kempsey 250. In the NSWORC class battles, Max Huxley holds an unbeatable lead in the Pro Buggy class, Michael Keen looks set to take the Prolite class provided he can post a solid result and Anthony Abson holds all the cards in the Sportslite class championship. The Super 1650 class title is alive and well, with outright frontrunners Brown and Wilton fighting it out for the top spot. In the Sportsman class, Greg Barron and Mathew Nickiforoff are locked in a tight battle with just five points separating the pair, whilst veteran racer Lucky Mattiussi is certain to secure another NSW Extreme 4WD title at Nabiac. Kevin Cant at the Milbrodale Mountain Classic. Cant and Justin Chisholm are separated by just 10 points in the fight for SXS Sport class honours, while the battle for the SXS Turbo Class Championship is wide open, with Alex Grady holding a narrow five point lead over Peter Carr and 15 points over Phil Lovett. Aside from the Championship battles, there are plenty of contenders for event outright honours and the Len Barron Midway Cup. 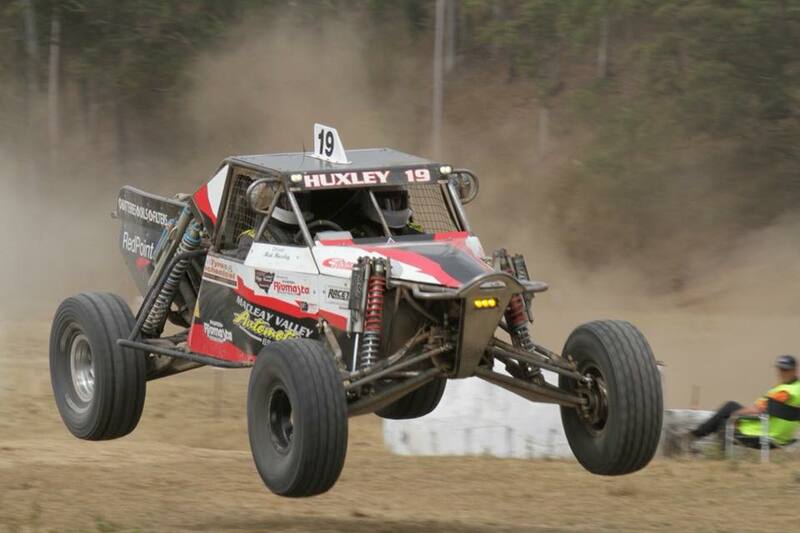 Three-time Nabiac winner Justin Guy is likely to be leading the charge along with fellow Pro Buggy pilot Huxley, fresh off a win at the Kempsey 250, and Jeremy Robards, who placed third in last year’s Nabiac event. Other outright contenders are likely to include Peter Skaza, Tim Baker, Derek Rose and Garry Hardie in their Pro Buggies, Prolite pilots Scott McNeill, Kelvin Hill, Glen Spizzo and Jono Patterson. Glen Towers and Paul Grant in their Trophy Trucks should also be in the mix and the SXS Turbo field cannot be discounted, with last year’s runner-up Jay Neate facing a challenge from a quality field including 2017 SXS Turbo Australian Champion Greg Campbell and the likes of Lovett, Carr, Glen Ackroyd and Nathan Chivers. The 250-kilometre Nabiac Airport Challenge will be run over two days, challenging competitors over a variety of difficult sand and dirt terrain including the famous airstrip start and finish straight. Saturday presents two races, covering approximately 100km total, with a gruelling 150km 11-lap race on Sunday, which includes a one hour break after five laps. The event is also round three of the East Coast Tri Series and The Len Barron Midway Cup.